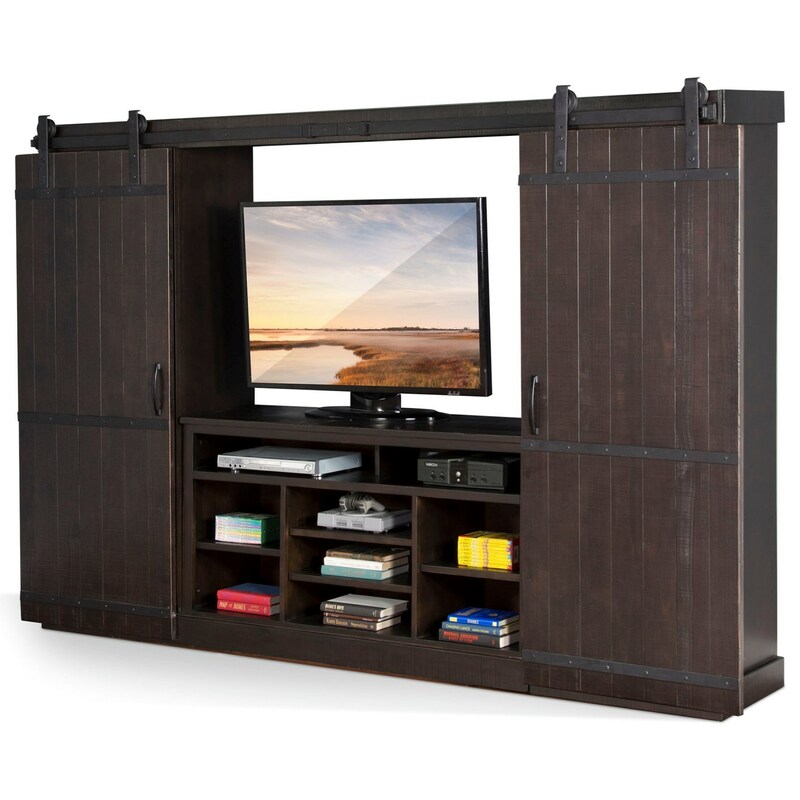 Barn doors add an industrial, rustic design element to this entertainment center. Constructed of New Zealand pine solids and veneers, its hand-sawn, weathered distressing adds character to the look of the piece. The open shelves of the TV stand and the side piers offer tons of room to store electronic components and display accents. The 3579 Rustic Barn Door Entertainment Wall by Sunny Designs at Furniture Mart Colorado in the Denver, Northern Colorado, Fort Morgan, Sterling, CO area. Product availability may vary. Contact us for the most current availability on this product.